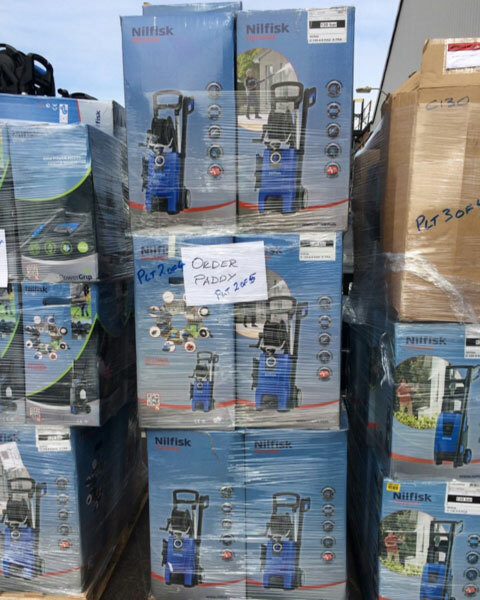 We have 10 pallets of Nilfisk 130 bar pressure washer returns in stock. They have been checked and are in a very good condition and are in working order. These units feature low water and energy usage, making them perfect for a multitude of tasks. The Argos retail price is from £255 to £320 each and our offer is ONLY £62 each. Grab them before they're gone!